The NYPD released harmless gases into the subway system during the morning rush beginning Tuesday to study how chemical weapons could be dispersed through the air. 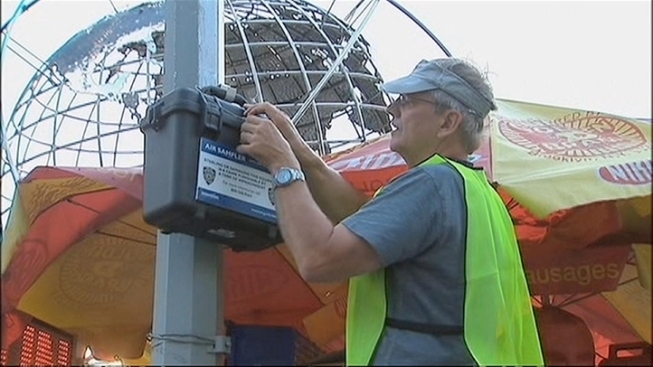 Police, working with Long Island's Brookhaven National Laboratory, placed air-sampling devices on the street and within the subway system across the five boroughs. Researchers will track the movement of harmless tracer gases called perfluorocarbons, which mimic how a chemical or biological weapon may react if released. They'll be dispersed in low concentrations for 30 minutes only during the morning, city officials said. Police Commissioner Ray Kelly said there was no specific event that led to the study, but that "it is something that is in our overall plan to help protect the city." The project was announced in April. It will be funded through a $3.4 million federal grant. Kelly said results from the airflow study will help the NYPD learn how airborne toxins travel underground within the subway systems and above ground near the entrances and exits. The aim of the study is to better safeguard the city against a potential chemical attack, Kelly said.